Skywind Group Casinos - Rated And Reviewed! Skywind Group came into the public eye in 2012 when internet gaming entrepreneur, Tedi Sagey offered to sell the company to Playtech, a company he founded. It ended up as a licensing deal with Playtech planning to use the vehicle to enter the social gaming sphere. By the time the company was heard from again in 2018 they had created what may be a sleeping giant in the online casino industry, especially in Asian markets. More than simply a real-money and social slots game developer, he has created a virtual juggernaut with powerful tech tools capable of disrupting every element of the industry. The company currently employs over 250 people around the globe with labs and offices in Belarus, Latvia, Cyprus, Ukraine, and Australia. As of late 2018, Skywind's portfolio contained over 120 titles. About 50 of them deployed at SlotsMillion, and a few titles can be found at VideoSlots.com. That's a big number for such a young developer. We may never know how many Skywind slots are in operation because casino clients can use a special development tool to create new games in about 2 weeks from concept to deployment. Most of the company's production is in slots and the vast majority of games are based on Asian themes. We haven't completely analyzed the pay tables or bonus mechanics to determine if many are clones - a handful of game engines with new "draperies" and titles - or if each slot is unique. Among the games are about half a dozen arcade titles (random instant wins, coin dozers, spinning and shooting games) and at least a few card games so far, including blackjack and 3 Card Brag. The game themes are quite varied from Asian to Wild West. Players will find obligatory Egyptian, Amazon, Dinosaur, and Cash themes in a variety of reel sets and line counts from 3-reel to 5-reel, 50-line and all-ways-pay (243, 720 virtual paylines, etc). One mechanic that pops out is found in 5 or 6 games with titles ending in "Reel" - Aztec Reel, Riverboat Reel, etc. These games feature wild multipliers in the free games and a money reel feature that can be triggered more easily during the bonus round. All jackpot spins are guaranteed a prize. The game graphics are well conceived and executed. Light and shading are used well, but the most striking aspect of the games overall is the lab's perfect use of colors to build excitement before the reels even begin to spin. Amazon Lady is a good example of a more muted color scheme that still strikes the eye. Look for industry standard three-scatter triggers, smooth animations, appropriate sound effects. Look for stacked/clustered wild symbols and a conservative use of big win celebrations. Win random number of free spins with random multipliers, wild reels, or other enhanced features. It's difficult to compare Skywind to any other developer. While most providers now have their own platforms, aggregate games from other labs, and provide payment processing options, etc., none have emerged with the same awesome potential as this company. Some of their artificial intelligence products and other tech could make a dramatic impact on the gaming world. Game quality is in the upper echelon and consistent across the entire catalog. The "Macau" bundle contains nearly 90 games with Asian themes and advanced bonus mechanics. On the downside, although all games present well there is a certain cookie-cutter feeling that is hard to define - as if the level of excellence has stymied individuality to some degree. 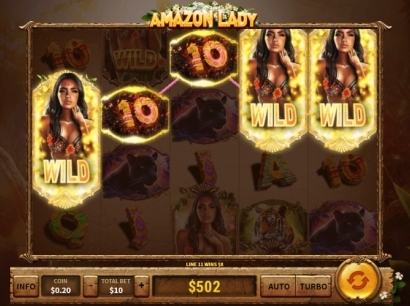 Skywind provides players with high-quality slot games. Like many present-day developers, they seem to have abandoned traditional fixed reel strip count odds in favor of a different maths model. This is evident in the fact that players are not allowed to choose the number of paylines to stake - all slots have a fixed number of paylines. This formula makes one wonder if nearly all slots nowadays are really just fixed odds or arcade games under the hood that simply generate interesting visual results on the reels to illustrate the random win.